We are just in the beginning of this big project and we already have to say a BIG THANK YOU for these partners. More than anything they have believed in our proposal and contributed for it to happen in a very special way. We must highlight that we only partner with companies that truly match with our now full time lifestyle making every aspect of it truly authentic. 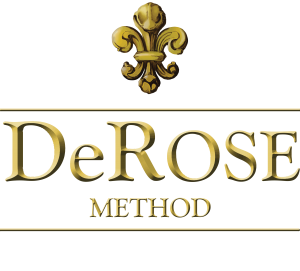 DeRose Method is part of my life for more than 5 years now and it has truly changed it for the better. It’s the perfect combination of tecniques and concepts looking to achieve high perfomance and life quality. The best part is that you can find it in more than 9 countries around the globe. I have myself gone to the London unit besides some in Brazil. I hope that we can meet new schools in the countries that we will visit. There is also support for long distance learning in case you need it ( like us now). For those in Curitiba I highly recommend Centro cívico unit. If you are looking to develop yourself and be immersed in a amazing culture this is it. If you want some really cool sports gear either to play around with your friends or for some serious practice Two Dogs is a great one. They have everything from Skateboards to eletric scooters passing by super Wheels, slackline, bikes and Stand up paddle boards. I have done many short passages with their stand up paddle board in Brazil and they are amazing. We are super excited to have it onboard. of course this is only possible because they are inflatable. If on water we are well equipped, on land we have the pliage pocket bike. This bike will take us around basically everywhere we need to go. It’s the perfect size and ideal for our situation where we will be moving from place to place and need something very portable (folds and is <14kg). If I could I would have it all.